Know the reasons why the Philippines is a great travel destination and be fascinated by its beautiful island ladies! If you are into traveling, then you must have heard about the “Pearl of the Orient” --- the Philippines! It is both a sweet haven and an adventure getaway. It is perfect for extreme activities, as well as some much needed soul-searching and relaxation. This makes the country a byword for travelers. The Republic of the Philippines is an archipelago, making it a culturally diverse country. Each island has its own wonders to showcase. From its beautiful landscape to its long coastline, you will never run out of things to see and discover. As a matter of fact, tourists have said that to describe the Philippines as a beautiful country is an understatement. Tourists also love the locals of the country because they are very hospitable and warm-hearted, especially young Philippine women. They are naturally beautiful inside and out, and are admired by both local and foreign men. These women always have a sweet smile to offer and possess traditional values, which makes them ideal life partners from across the globe. There are a lot of reasons why the Philippines is a must-visit. Discover the places, as well as its colorful Philippine tradition and rich culture by joining one of our singles’ tours. In doing so, you get many perks, such as being able to personally meet numerous, stunning, single island ladies. For a hassle-free visit to the “Pearl of the Orient”, you can book your trip through the best Philippine marriage agency and matchmaking services today. Don’t miss your chance to visit the Philippines and meet the most sought-after brides in the world --- Philippine women! Remember, you need to meet her, in order to marry her. Where is the Philippines Located? Join our singles’ tour and meet single island ladies for LTRs and marriage. 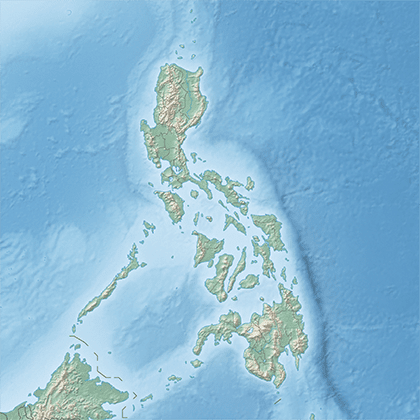 The Philippines is a country located in the Southeast Asian region. It’s situated along the coastline of the Western Pacific Ocean and appears like an inverted letter Y on the map. It has a land area of 300, 000 square kilometers and its coastline stretches 36, 289 kilometers making it the fifth longest coastline all over the world. The Pearl of the Orient Seas is an island nation. It is composed of 7,641 islands. Due to its archipelagic condition, Philippines has vast land forms ranging from high mountain ranges, hills, volcanoes, plains, plateaus, valleys, and water forms such as rivers, lakes, waterfalls, and lagoons situated in the various parts of the country. It is also blessed with a lot of tropical rain forests making it a habitat of the world’s greatest biodiversity. These are the reasons why this country is truly a paradise on earth. The country is located near the equator making its climate a tropical one. It only experiences two seasons: wet and dry. The climate usually varies from region to region since its islands are spread widely. A lot of tourists love to visit this place during summer because of its long stretch of beaches, which allows them to do a lot of activities under the sun. What to Expect in the Philippines? 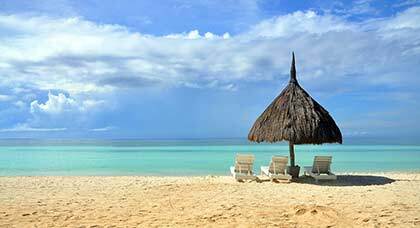 Philippines is considered the ultimate destination for backpackers and for those who just want a relaxed vacation. Philippines has a lot to offer to all of its tourists, both domestic and local. If you are planning to visit the famous “Land of the Morning”, then it would be beneficial for you to know some facts about this fantastic country. It’s important to know what makes this country stand apart from the rest. 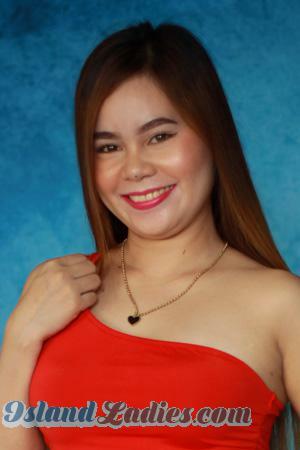 Register on our site today and meet your soulmate---a single Filipina woman! Philippines has been ruled over by the Spaniards, Americans, and the Japanese. This made the Philippine history very interesting and even today, the traces of its past colonization is still very evident in their architecture and culture. 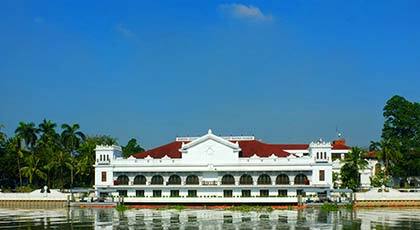 There are a lot of world heritage sites in this country where you can visit and relive the past of the brave Filipinos. The Pearl of the Orient is the home of coral reefs and tropical rainforests. Thus, it is considered one of the countries that sustain the greatest biodiversity in the world. It houses thousands of species of plants and animals, even endangered ones. Filipinos protect and preserve these land and marine beings. If you love wildlife and nature, then the Philippines is a great country for you to visit. Tourists have been coming back to these islands because of its jaw-dropping sceneries. A lot of tourists enjoy the beauty of its landscape and all of its tourist spots. Everywhere you go is really worth a click on your camera. Long stretches of white sand beaches, high mountain ranges, magnificent waterfalls, and the list goes on. You will never really run out of things to photograph in this country. Filipinos love to celebrate and get together, thus they have a lot of festivals that you should not miss. These festivals are cultural and religious in nature, attracting tourists from all over the world. Filipinos take pride of these festivals because it is also another way for them to showcase their talent. If you want to join them in merry-making, then it’s never a problem since festivals all over the country are celebrated all-year-round. The Philippines is also considered the home of the most hospitable and friendliest people. In this country, you will be greeted by the locals while walking on the street and they will even ask you to eat and join them, especially during meal times. Furthermore, Filipinos know how to speak English and they are also very willing to help travelers, especially young Philippine girls. If you visit the Philippines, don’t be surprised by how warm and welcoming these people are. The Philippines is also known for its bizarre street foods and delicious delicacies. If you want to try their street food, then you must have a brave stomach. You can have their famous balut (a duck embryo), dinuguan (stewed intestines in pig blood), and their skewers of chicken intestines, feet, and head. You should not also miss their mouth-watering cuisine as well, such as the very famous lechon, grilled seafoods, and their very sweet mangoes too. These are some of the things you can see and witness in the “Land of the Morning”. It is important to know some facts about the Philippines beforehand, so you can travel with ease and joyfully hop from island to island in this wonderful country. Millions of tourists keep on visiting the Philippines, with some who keep coming back year after year --- and there are many reasons for that. It’s widely known that the country is a safe place to visit and it has a long list of attractions that will surely keep you busy and coming back for more. Having 7, 641 islands, it’s hard to decide where to go, but we made a compilation of beautiful islands you can visit. Each location has something unique to offer. Enjoy the wonderful Philippines, as well as its charming Philippine women. Cordilleras Region is the perfect place to go to if you want to experience near-perfect lush landscapes, majestic waterfalls, and cold mountain summits that offer a breathtaking view. You can also visit the iconic rice terraces carved by the Ifugaos and pick some strawberries in Sagada. There are also numerous caves you can explore and the refreshing air of this place is perfect for a laid-back traveler as well! Ilocos Sur & Norte is where you can find Vigan, a historic Spanish-colonial town, is located in Ilocos and is considered a UNESCO World Heritage Site. The Spanish influence within this region is most evident in their churches, which have been preserved to this day. It also offers beaches, surfing spots, and amazing coastal landscapes. Palawan and Cebu are the top two islands to visit in the Visayas region. They are best known for island hopping activities, due to its beautiful white sand beaches and preserved diving sites. Another popular activity among tourists and locals alike is cave hunting. Palawan houses the spectacular Puerto Princesa Underground River, a UNESCO World Heritage Site with sparkling rock formations. It is considered one of the 7 Wonders of the World. El Nido and Coron are also two neighboring islands of Palawan that draw attention from tourists because of its breathtaking views. Cebu is the home of the gentle giants of the sea --- the whale shark. In fact, numerous tourists across the globe have swum with these giants. Other activities to do on the island are roaming around the bustling and historic Metro Cebu, chasing majestic waterfalls, and even hiking in Cebu’s summits like Osmeña Peak. 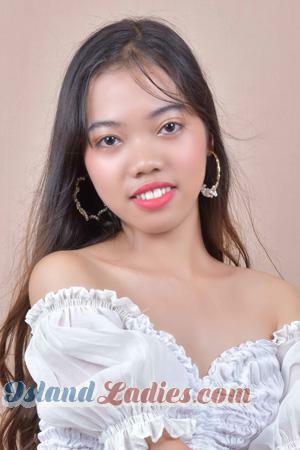 Metro Cebu is a great place to meet single Filipina ladies as well. Siargao is the surfing capital of the Philippines and as the name suggests, it’s the perfect spot to catch some waves. You don’t have to be a pro however, as you can always visit to explore its mysterious caves, go kayaking, or simply go island shopping. You can also learn how to surf by enrolling in surfing classes with the locals there. The Tubbataha Reef in Cagayancillo is another option that will surely amaze you due to its dramatic terrain, preserved biodiversity, and large aquatic animals. This includes sharks, turtles, manta rays, and more. By visiting this national park, you will surely have a newfound appreciation of the country’s rich marine resources. These are just few islands that are worth a visit. For more tips, you can also browse through our site and read our itinerary tips for the Philippines. You can also get a chance to join our singles’ tour to the Philippines and meet your lovely island bride. Register on our site today and start communicating with Philippine women for marriage, while traveling to the best spots that the Pearl of the Orient has to offer!